The government has called on Fifa to publish the full findings of its investigation into the 2018 and 2022 World Cup bidding process. Secretary of State for Culture, Media and Sport Sajid Javid has written to president Sepp Blatter urging Fifa to make public the full report. Fifa has so far only published a 42-page summary of the investigation. Javid argues Fifa's handling of the report "further calls into question their independence and transparency". The summary report into alleged corruption regarding the bidding process for the both tournaments was published on 13 November and cleared Russia and Qatar of wrongdoing. However, United States attorney Michael Garcia, who led the two-year investigation into the allegations, said it contained "numerous materially incomplete and erroneous representations". Garcia and Fifa's ethics judge Hans-Joachim Eckert have now agreed to allow the head of the world governing body's Audit and Compliance Committee, Domenico Scala, to access all of their findings. Scala will then decide whether the full investigation is passed on to Fifa's Executive Committee, leaving the door open to a possible re-vote. Javid says Blatter and Fifa must allow the full report to be made public if the organisation is to restore credibility. "Without the disclosure of the full report, Fifa risks not just further damage to its own credibility, but significant damage to the reputation of football as a whole," he said. Football Association chairman Greg Dyke has already written to Fifa demanding full publication. However, the FA says it has no intention of boycotting the tournaments in Russia and Qatar. 2 December 2010 - Russia and Qatar are chosen to host the 2018 and 2022 World Cup. 13 November 2014 - Garcia claims the summary of his own report is "materially incomplete" and contains "erroneous representations"
That is despite a suggestion from former FA chairman David Bernstein and others that members of European governing body Uefa should withdraw from future tournaments until Fifa made the bidding process more transparent. "The World Cup is a fantastic tournament and we want to be playing in it," FA general secretary Alex Horne said. "To link the two issues is extreme. I don't see us boycotting the World Cup." Blatter has so far rejected requests to publish the full report, insisting it would break Fifa's rules over witness confidentiality and Swiss law. Fifa has filed a criminal complaint with the Swiss attorney general over unnamed individuals in the report, but the British government says the organisation should find a way to publish the report while still respecting the privacy of witnesses. 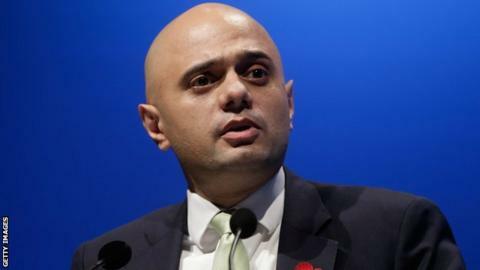 "I understand there are challenges around confidentiality within the report, but this is a challenge faced by many public bodies in conducting their work in an open and transparent way," Javid said. Fifa general secretary Jerome Valcke says the row over the report has damaged the organisation's standing, adding it will have to rebuild its image "day after day". Fifa corruption report - what now? Read more on Fifa corruption report: Who is to blame and what happens now?